I was thinking about last week’s post and my laundry out on the clothes line blowing in the wind and it made me think about these beauties pictured below. 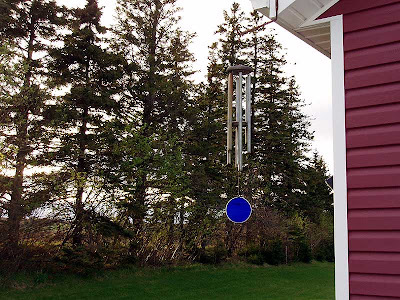 I have had these chimes for well over 20 years now and, hopefully, they will be around for even longer as they are guaranteed for 101 plus years. I got the first one from Hubby as a Christmas gift and thought “Oh boy, where am I going to hang this so it won’t keep us awake at night?” It hung outside our bedroom window for over 18 years before we moved and it never bothered us at all. The funny thing is that you actually don’t notice it after awhile because the sound is so peaceful. They are hanging from the front of the garage at the new place so we can’t hear them at all from the bedroom unless the wind is blowing at gale force but they chime a nice welcome every time we arrive home. I just love the sound of them. The one with the blue stained glass pendulum is tuned to the sound of “c” and the one with the copper tubes and the orange stained glass is actually supposed to sound like cow bells. They don’t really make the copper kind anymore because copper tubing is hugely expensive. So I really cherish this one. We never take them down and, yes, they have withstood some huge snowstorms with 80 km winds. Sometimes, if I know it’s going to be really bad, I have unclipped the stained glass disc but usually I just let them swing. I have had to replace the glass disc once because the first time we hung the chime it was too close to the house and high wind slammed it against the wall and broke the glass. What can I say, we were young and foolish? They now hang from wrought iron rods which extend them about 18 inches away from the house. We have given these as wedding gifts and they have always been hung outside with pride. You could even have one of the tubes engraved with the couples name and date. I haven’t done this but I don’t think it would be hard for us to do. Anyway, as usual, it has been a busy weekend. I’ve baked some muffins, done the laundry and cleaned the house. Hubby is STILL painting the front entry, working the land and fertilizing the lawn. It can be very expensive to have all the equipment you need to do all the outside chores so it is a good thing we have great friends who are willing to share their equipment. 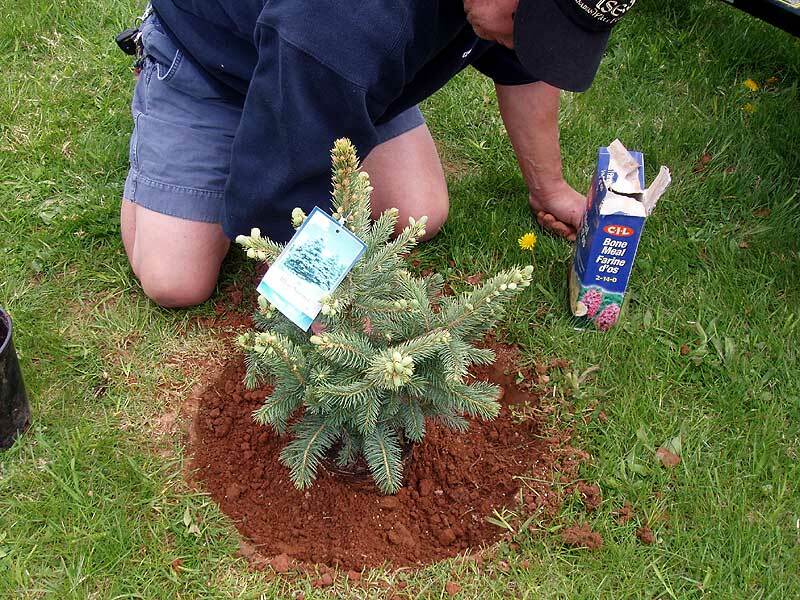 This afternoon, we planted six of the nine blue spruce we bought for the front lawn and now we have to make supper, and then it’s back to work tomorrow. Where do the weekends go? 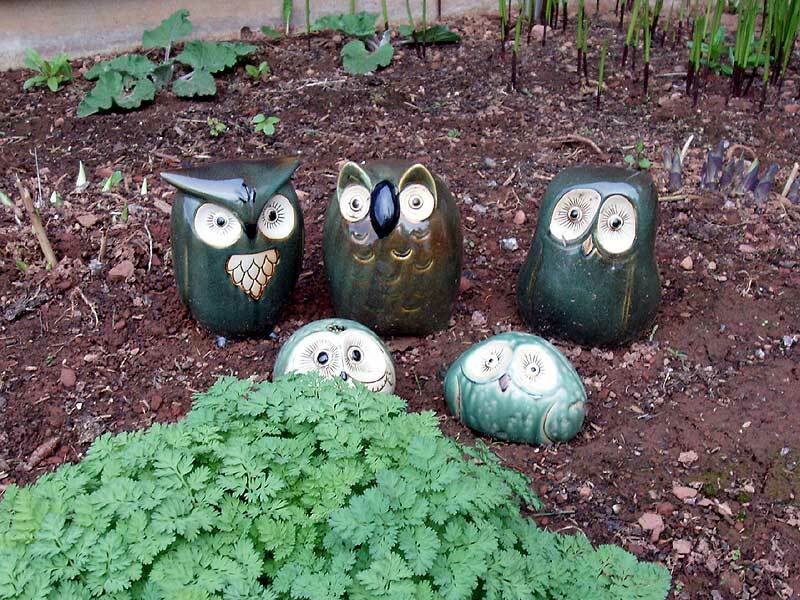 Great garden owls!! 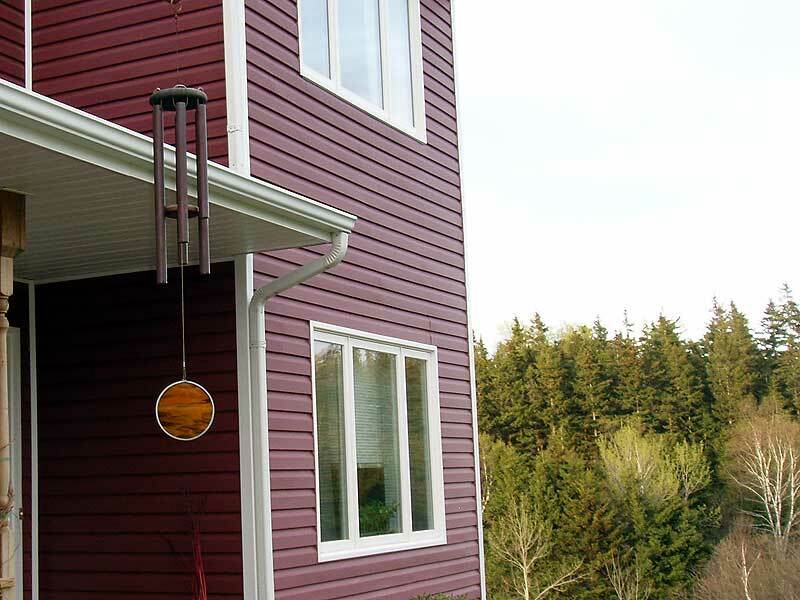 I love wind chimes too and have sets in the front and back of our house. My favorite though is a Japanese garden bell that's hanging near our bedroom window. It's comforting to hear its single note at night. I love the owls they are so cute, and the windchimes. Thank you for the info on the lilac, I will follow through with that, and give them some epsom salts when they have finished blooming. Beautiful thoughts re: the chimes. What an inspiring gift to give someone especially given your personal stories. 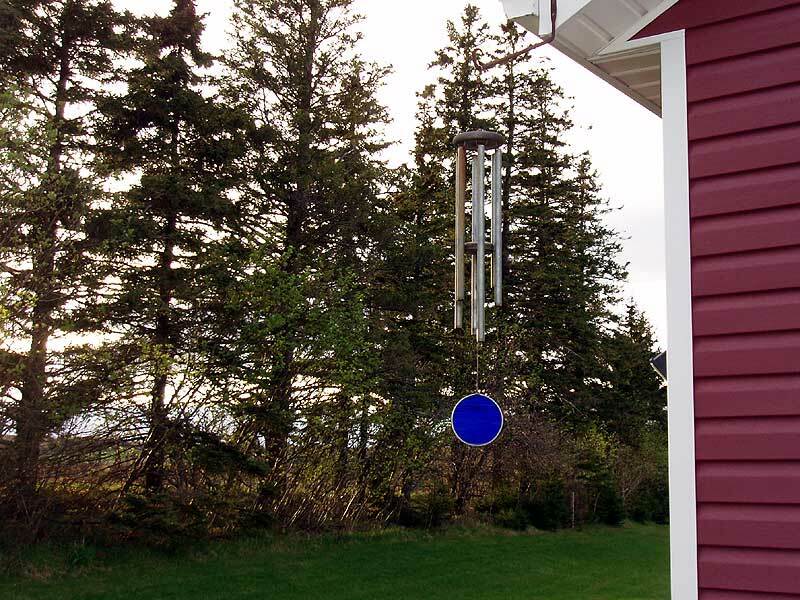 I love that the chimes have hung outside your bedroom for 18 years! 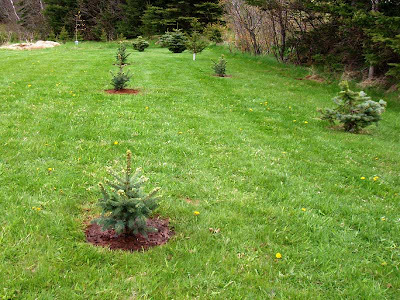 Looking at your pictures makes me homesick for pine forests....great pictures! LOVE the owls....my favorite bird! 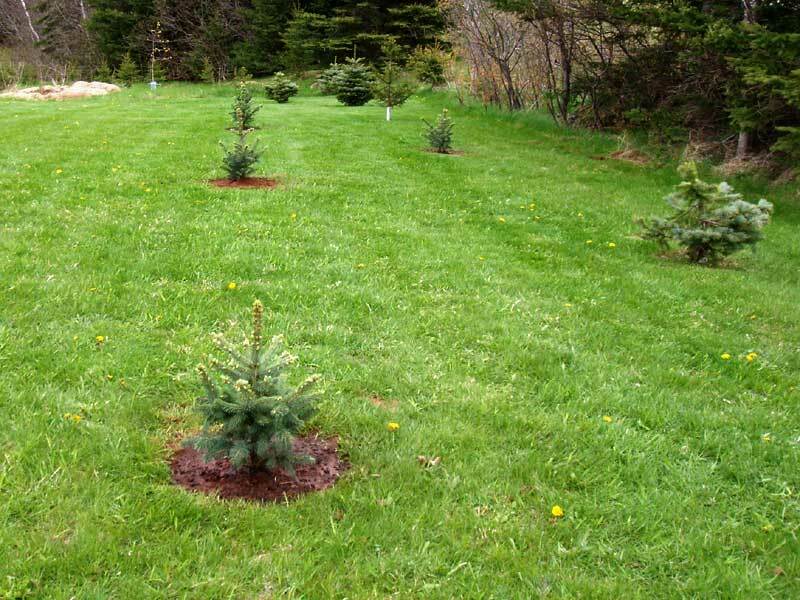 You have a beautiful yard!!! 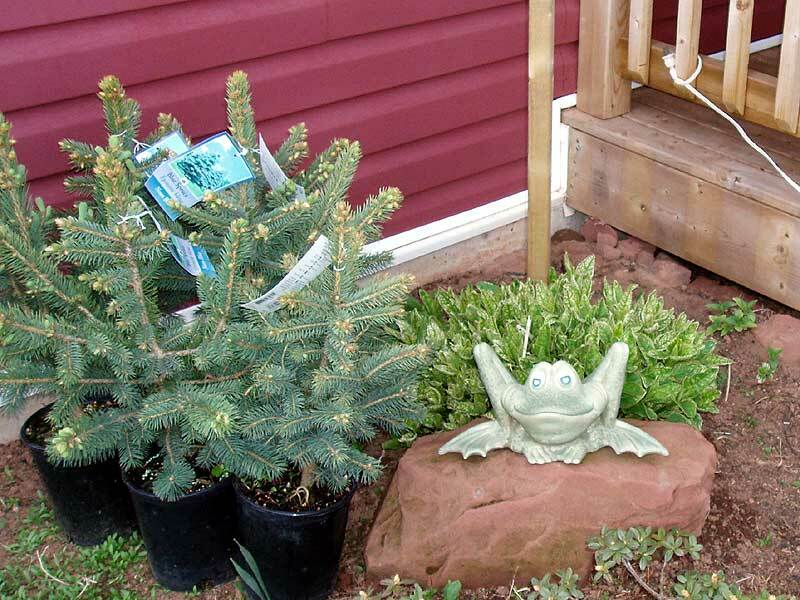 Just popped by to say have a great Victoria Day weekend! !